Well, I am guessing you have taken the decorations down and your fridge is almost empty, with all the left overs consumed and only a few half filled bottles of alcohol left. Christmas and New Year celebrations are over and most people are considering the dreadful prospective of returning to work – if they have not only ready returned! For me the best time of the year is over and it’s downhill from here on in! Why? well the reasons are simple! Unlike the majority of the population, I’m not really a summer sort of guy. I’m not that keen on light nights and hot weather is definitely not for me! Although many people are looking forward to the warmer weather and the summer vacations, for me the best time of the year has sadly come to an end. You might think I am weird, but my favourite months of the year are from September to December. Before you make a hasty judgment, let me explain. The season of Autumn – Autumn brings with it my favourite type of weather. I’ve already mentioned that I am not a hot weather sort of guy. Although it is nice to wear short and tshirts, I don’t like being hot at all. Autumn weather is generally, wind and rain. For me, there is nothing better than being snuggled in a warm duvet while hearing wind and rain outside or even sat in the car listening to the rain hitting the roof of the car. I enjoy walking with my hood up in a warm coat in wet weather and although defrosting the car can be a pain, those first frosts can make the world suddenly crisp and white. As well as the weather autumn brings fantastic colours to the world – there is nothing better than trees providing a final flourish of colour before shedding their leaves for winter. The preparation for winter is mirrored with the hibernating animals and conkers and other seeds. You get an extra hour in bed when the clocks go back and although your heating bill might go up, there is nothing better than drinking soup in autumn. Festivals – I’ve already mentioned Christmas and New Year in the introduction, but within the months, September to December, there are also all the best celebrations. Harvest, Halloween (and All Saints day), Bonfire Night and of course Christmas and New Year! What can you not like about these festivals! The dark nights have settled in and there is something quite special about shopping with the lights all a glow throughout town. I know many have become commercialised but putting this aside, there is plenty for the family and children to get involved in. 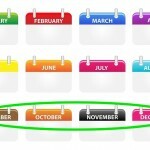 Compared to the rest of the year these months seem to be packed – the rest of the year appears to be some devoid of festivals! I could probably go on and on about these months – but I think I have made my point. I wanted to present the case for these months rather than against the other months – I always want to stay positive. I’m actually feel that there is not much to look forward to now in the year – we will even lose an hour when the clocks jump forward! I frequently see on Facebook, shortly after Christmas, people posting images of the countdown to Christmas again. For me, I try and stay positive and thing that in eight months time, September will be back again. 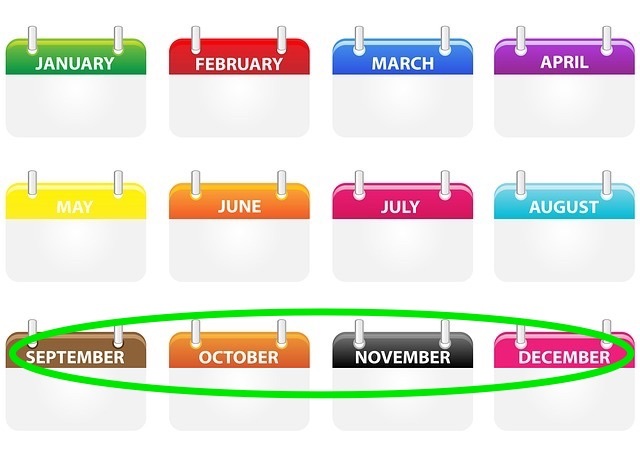 So what is your favourite time/months of the year? Do you agree with me or are you already longing for those summer months? If you have enjoyed reading this blog post then please feel free to either rate it or add a comment below. I publish to my blog about Teaching, Tech and Twaddle every week and follow me on Twitter to see when I post my next blog post. Hope you enjoy the last few days of the holidays and best wishes for the new year! Why isn’t Easter like Christmas? Christmas is here! and I’m getting ready!